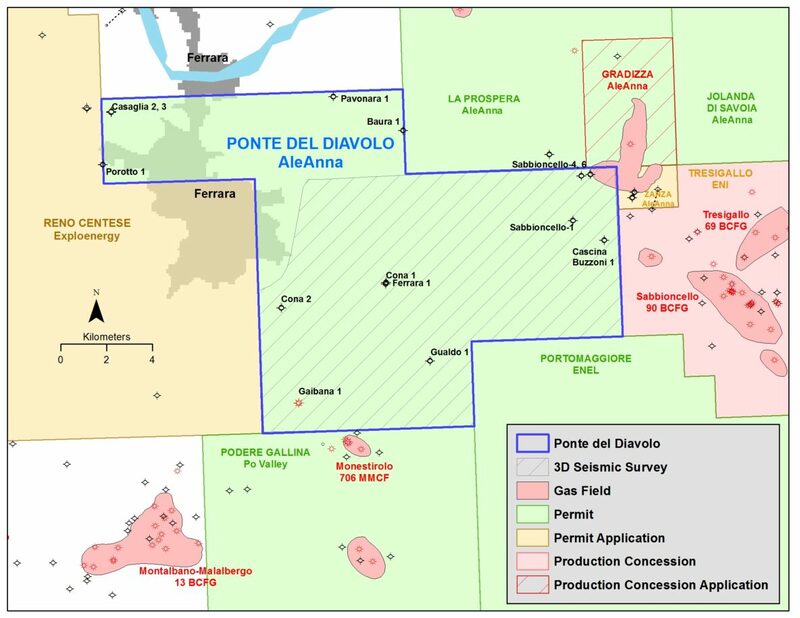 Previous exploration in the permit area (13 dry holes, 1 gas) has been focused on structural highs, where reservoirs are often truncated by erosion. A 141 km2 3D survey acquired by AleAnna in 2011 led to the identification of multiple Upper Pliocene -Lower Pleistocene prospects in the NE corner of the permit, offstructure and east of the main Ferrara uplift. Permitting is underway for the Viconovo-1 well to test the best of these anomalies.